Our windows are specially designed to keep heat in during the winter and cool in during the summer. 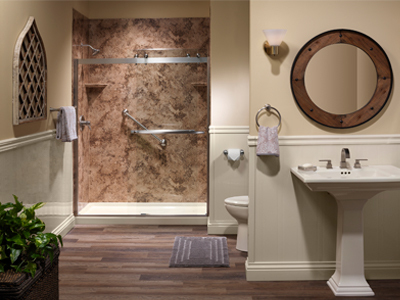 Tennessee Thermal has a wide variety of bath and shower systems to meet any need, home and budget. Stop painting your home. Install insulated vinyl siding from Tennessee Thermal today! Don't miss out on your chance to win - enter today! We're celebrating our 20th anniversary by giving away $15,000! Don't wait any longer, make those home improvements you've always wanted. Remodeling your bathroom with our easy to clean, durable bath and shower designs can help increase the beauty and value of your home. Choose from a wide range of colors, styles and other options to meet your needs.